We’d love your help. 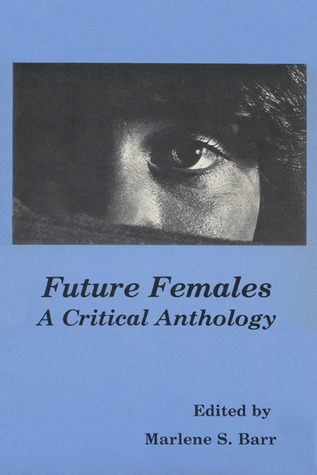 Let us know what’s wrong with this preview of Future Females by Marleen S. Barr. “A justification for paying serious attention to science fiction may by now be necessary only for other literary critics and scholars. Still, the question of why a book addressing itself to science fiction has to be faced briefly.” This comment, the opening statement of Darko Suvins’ recent book, is of concern to Professor Barr, editor of this volume, since Future Females “A justification for paying serious attention to science fiction may by now be necessary only for other literary critics and scholars. Still, the question of why a book addressing itself to science fiction has to be faced briefly.” This comment, the opening statement of Darko Suvins’ recent book, is of concern to Professor Barr, editor of this volume, since Future Females is addressing itself to women in science fiction. Metaphorically speaking, if the mere mention of the genre causes a ruffling of academic feathers, then, relating to women is analogous to placing all those simply ruffled feathers in front of a wind machine. To ask other readers questions about Future Females, please sign up.